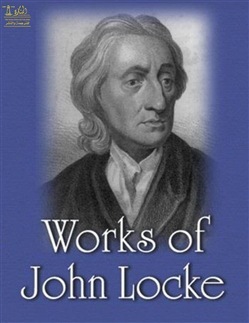 John Locke, (born August 29, 1632, Wrington, Somerset, England—died October 28, 1704, High Laver, Essex), English philosopher whose works lie at the foundation of modern philosophical empiricism and political liberalism. He was an inspirer of both the European Enlightenment and the Constitution of the United States. His philosophical thinking was close to that of the founders of modern science, especially Robert Boyle, Sir Isaac Newton, and other members of the Royal Society. His political thought was grounded in the notion of a social contract between citizens and in the importance of toleration, especially in matters of religion. Much of what he advocated in the realm of politics was accepted in England after the Glorious Revolution of 1688–89 and in the United States after the country’s declaration of independence in 1776. Locke’s family was sympathetic to Puritanism but remained within the Church of England, a situation that coloured Locke’s later life and thinking. Raised in Pensford, near Bristol, Locke was 10 years old at the start of the English Civil Wars between the monarchy of Charles I and parliamentary forces under the eventual leadership of Oliver Cromwell. Locke’s father, a lawyer, served as a captain in the cavalry of the parliamentarians and saw some limited action. From an early age, one may thus assume, Locke rejected any claim by the king to have a divine right to rule. The writings of the late 17th-century empiricist John Locke on philosophy, government, and education were especially influential during the Enlightenment. In the field of education, Locke is significant both for his general theory of knowledge and for his… After the first Civil War ended in 1646, Locke’s father was able to obtain for his son, who had evidently shown academic ability, a place at Westminster School in distant London. It was to this already famous institution that Locke went in 1647, at age 14. Acquista Complete Works of John Locke in Epub: dopo aver letto l’ebook Complete Works of John Locke di John Locke, Yasser Jarkas ti invitiamo a lasciarci una Recensione qui sotto: sarà utile agli utenti che non abbiano ancora letto questo libro e che vogliano avere delle opinioni altrui. L’opinione su di un libro è molto soggettiva e per questo leggere eventuali recensioni negative non ci dovrà frenare dall’acquisto, anzi dovrà spingerci ad acquistare il libro in fretta per poter dire la nostra ed eventualmente smentire quanto commentato da altri, contribuendo ad arricchire più possibile i commenti e dare sempre più spunti di confronto al pubblico online.